Missouri voters overwhelmingly threw out a right-to-work bill, on August 7th – becoming the the first-ever state to reject a right-to-work law. Right-to-work laws stop unions from collecting compulsory subscriptions in private-sector workplaces where they represent the workers. The Trump administration and along with Republicans have been implementing a state by state strategy to introduce ‘right to work’ laws which have been adopted in 27 states. Right to work laws seek to limit union strength and power – a 2015 study from the Economic Policy Institute, a nonprofit think tank in Washington, D.C., found that wages in right-to-work states are 3.1% behind pay in states where unions can collect dues from all employees – union members or not. Eric Greitens, the former governor of Missouri who resigned in June in the midst of accusations of campaign-finance violations and a criminal investigation into sexual misconduct, signed a bill into law in January 2017, making Missouri the 28th right-to-work state in the U.S. Unions in the state swiftly opposed the bill, organising a petition that garnered more than 300,000 signatures calling for the issue to be decided via referendum. The Republican-controlled State House shifted the vote to a primary vote from the general vote in November last year, mistakenly thinking that the lower-turnout election would would swing the vote in favour of ‘right to work’ . But approximately 67% of the state voted against Greitens’s bill, effectively killing it. Unions in Missouri and nationwide, according to The Associated Press, spent around $15 million campaigning against right-to-work laws in the state, on the grounds that such policies tend to drive down employee wages. This vote follows the Janus v. AFSCME decision tin late June, in which the Supreme Court ruled that public-sector unions cannot require non-union employees to pay dues to cover collective bargaining, essentially making all government jobs right-to-work. By barring public-sector unions from collecting dues from all of the employees they represent, the Janus ruling makes it more difficult for unions to effectively lobby on behalf of the workers they support. Missouri voters overwhelmingly voted for Trump in 2016, the fact that these same voters expressed such unified dissatisfaction with a key conservative policy is significant, but not the first sign of anti-labour policies falling out of favor in Republican states. Mike Louis the President of the Missouri AFL – CIO said: “Working families have stood united against this anti-worker legislation since the very beginning. Right to work is a threat to the stability of our families and communities. 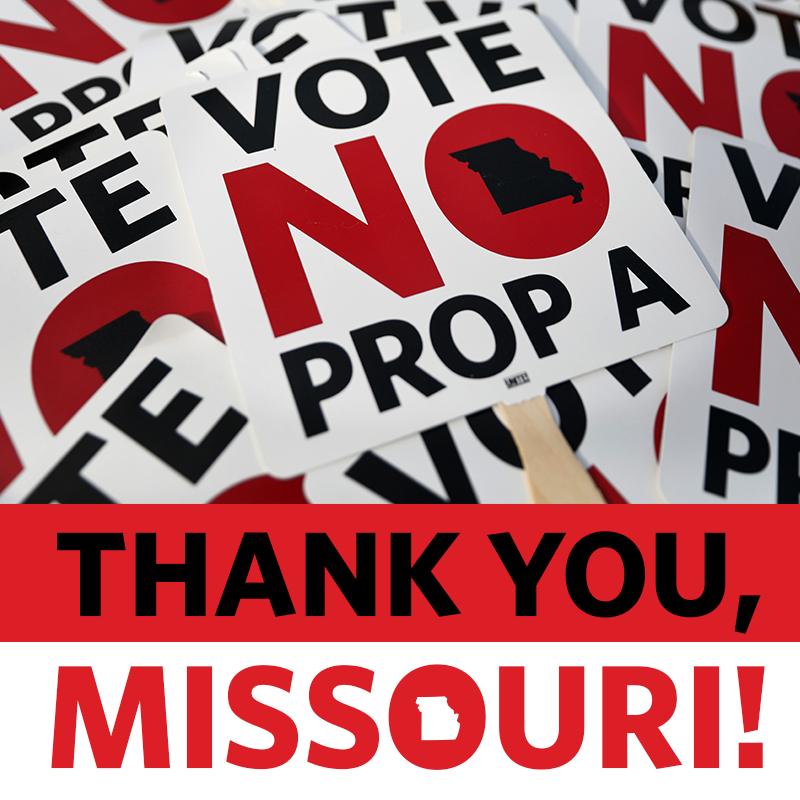 Stopping the passage of right to work in Missouri helps our momentum to fight this bad legislation nationally. This entry was posted in International Employment Rights, Uncategorized. Bookmark the permalink.